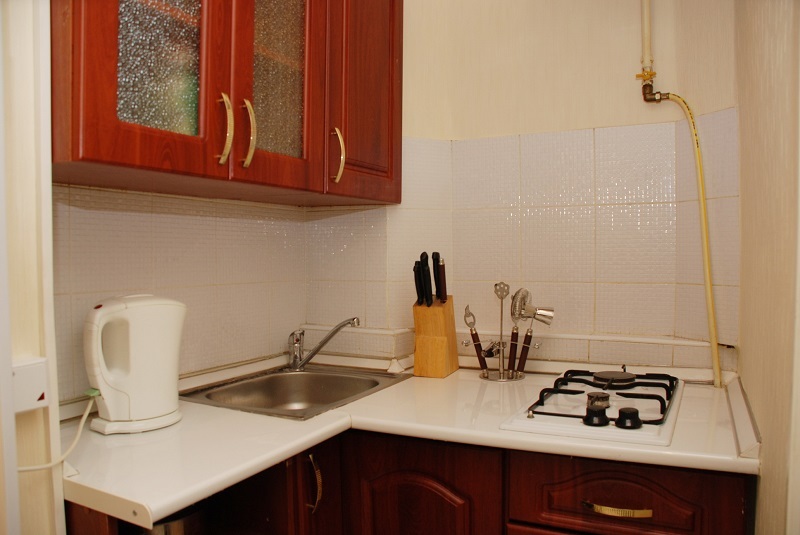 This one room apartment is located in the heart of Kiev, close to the Khreschatyk Metro 150 meters. And to the main street Khreschatyk is 50 meters. 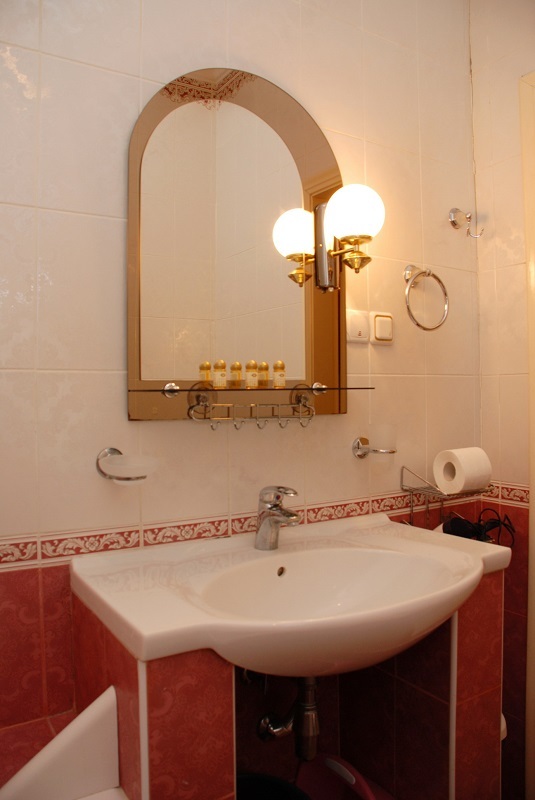 The apartment consists of one room, a small kitchen and bathroom. The total area of 30 m2. 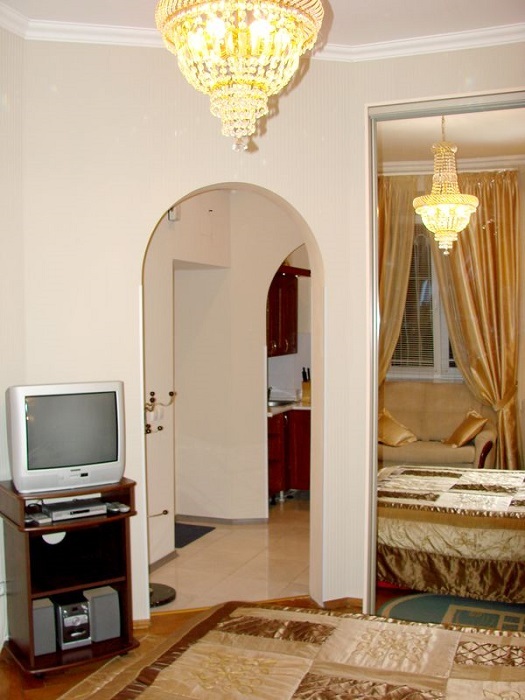 The apartment is situated on the ground floor. The staircase has two exits, one to Liuteranska Street, the second exit is to the yard for parking cars. The apartment has an armored entrance door with a good lock. The room is in bright colors. The room window faces the quiet courtyard. 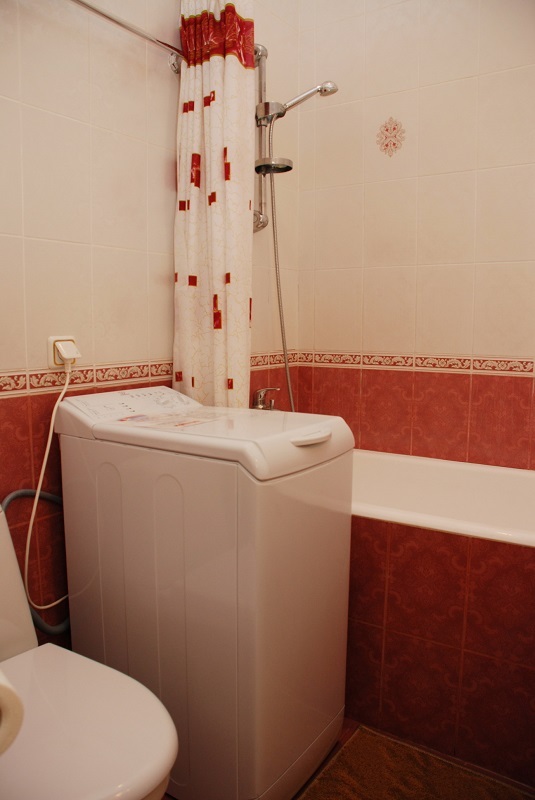 We provide: paper towels, napkins, coffee, tea, sugar, liquid soap, dishwashing detergent, bed linen, bath towels, shower gel, shampoo and liquid soap. 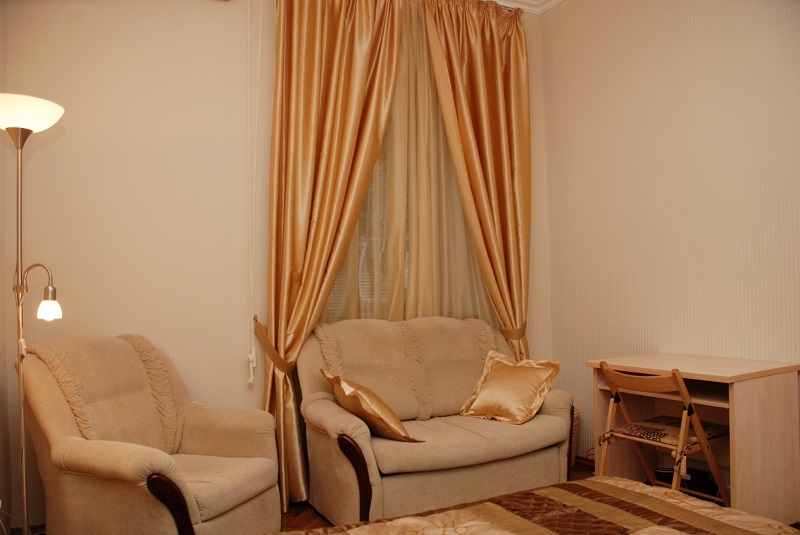 Located: Kiev, in the center, walking distance to downtown 550 meters. Facilities: 3 sleeps - double bed and small sofa (which can be an extra bed by prior arrangement), workplace, air conditioning, iron and ironing board, hair dryer, high-speed unlimited internet WI-FI, cable TV, water heater, stereo, DVD, electric kettle, microwave, refrigerator, washing machine and bathtub. 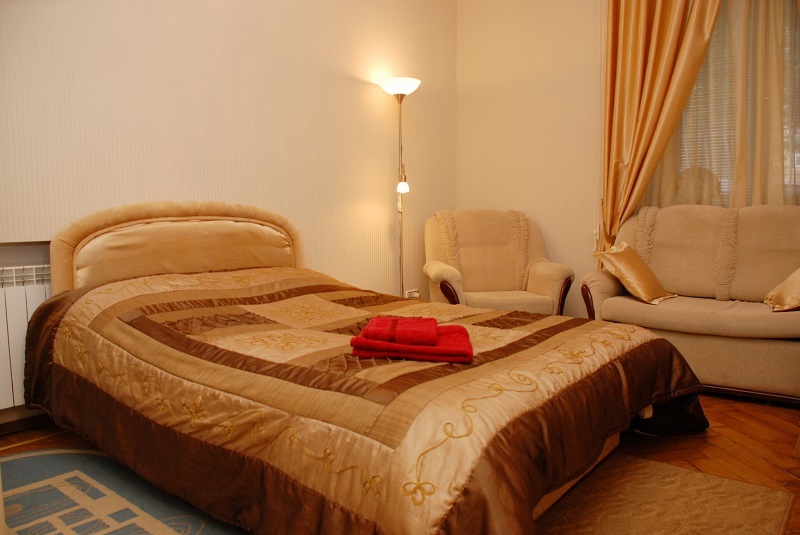 Estimated price Euro 31 / USD 34 per night. Make a request for the availability and exact price. The exact price depend on the season and on how many days you will stay.